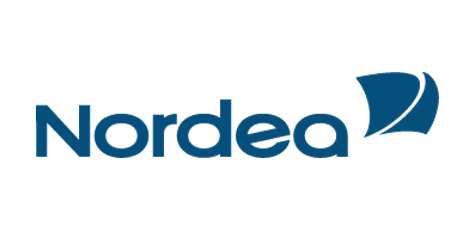 Nordea is the largest financial services group in the Nordic and Baltic region. Nordea holds leading positions in corporate and institutional banking as well as retail and private banking. We are also the leading provider of life and pensions products in the Nordic countries. Nordea is one of few European banks with an AA-rating and is also among the ten largest full-service banks in Europe based on market capitalisation. As a relationship bank we are committed to people not least our employees. It is our skilled dedicated employees and their ability to deliver great customer experiences that distinguish us from our competitors. Our people make Nordea great! We are fully committed to providing our people with the best environment skills and tools to enhance their ability to perform at the highest level. When our people are at their best we are at our best and then we make it possible. • What are our predominant drivers/motivators when engaging in IT change activities? • How are we in IT willing and able to accelerate the digitization journey? • How does pro-active look and feel once we have managed the shift? • How do we know that different stakeholders have great experiences when dealing with us in IT? Your work will be used to plan the cultural motivators activities and communication that will support progress in our already decided maturity journey towards service orientation (level 3.8 on Gartner’s IT Maturity Scale). We envision this collaboration to be a paid internship that turns into a Master’s Thesis. • We are open for students passionate about communication organizational development change management human resources and having general understanding of IT systems and processes. • You have excellent writing skills high aesthetical/quality standards and speak English fluently. Application is on an ongoing basis. Once the candidate is found the ad will be turned off.